The Mizuho OSI Patient Helper requires an adapter bracket from Hill-Rom (P/N P1180C01) and a Patient Helper Sleeve P/N 3423-1. 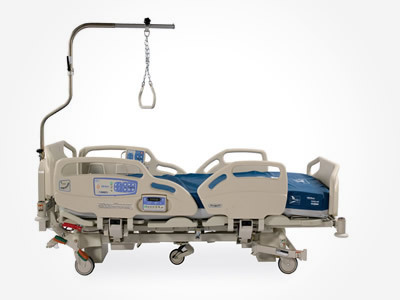 Q: What do I need to attach a Mizuho OSI Patient Helper to my CareAssist® Bed? 1) Hill-Rom Bracket P/N P1180C01. This is purchased from Hill-Rom. 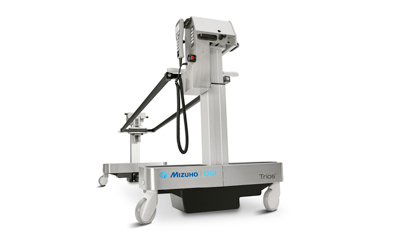 A: The Mizuho OSI Patient Helper has a low profile of 72”. The actual height varies with bed adapters, but the overall profile is the lowest on the market. On the CareAssist® bed it does not move with the high/low function of the bed. This ensures that doorways, elevators and trips throughout the hospital are not impacted.